The world moves quickly and in quickly urbanizing cities, this is doubly true. Industries across the board are seeking new ways to meet the demands of growing, bustling cities and the needs that come with them. 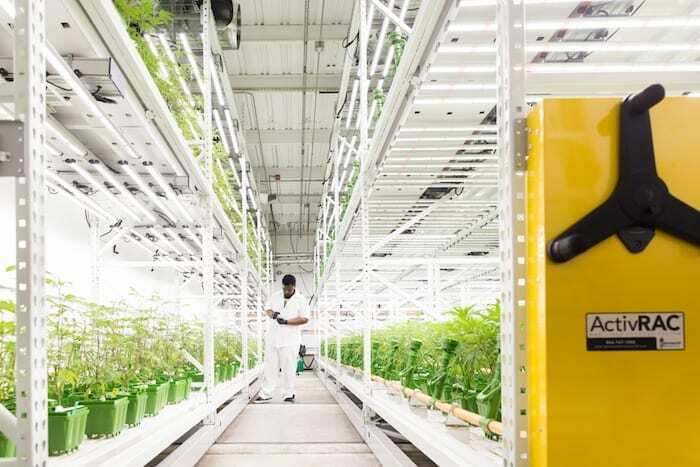 The agriculture and farming industries know the increasing demands of new cities for locally grown and sourced produce, microgreens, as well as the need to innovate new ways to produce high-yields in the expanding cannabis industry. With these new needs and demands in mind, owners and operators are looking for ways to grow more with the space they have, rather than moving to an entirely new facility. 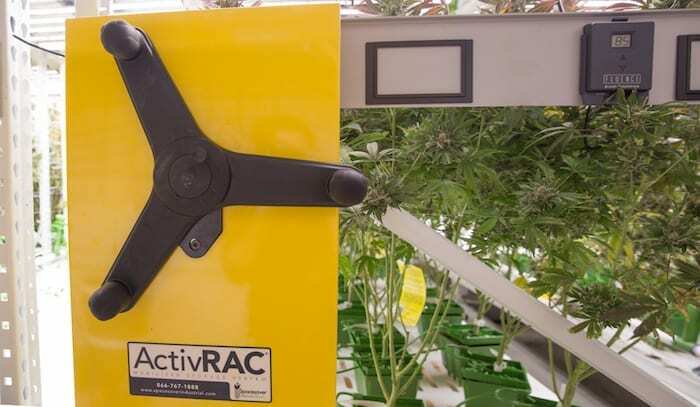 From herbs and microgreens to cannabis and fresh fruit, our experts can help you maximize yield and increase storage space with your needs in mind. Partnered with Spacesaver’s innovative ActiveRAC System, our experts can eliminate the space wasted by empty aisles using mobile carriages and shelves – making the most your space while allowing for easy and quick access. 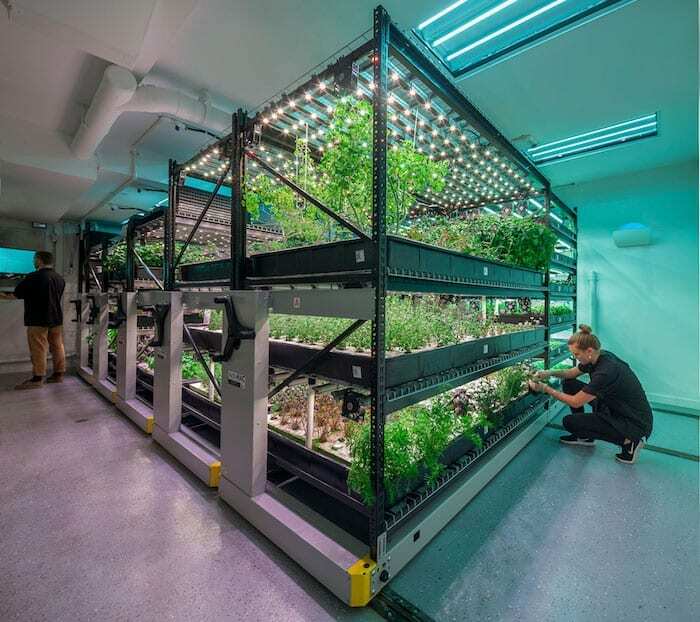 With restaurant owners across the country facing the challenges of providing consumers with locally sourced greens, one clever based entrepreneur found a way to turn a basement into a hydroponic herb-growing operation in the heart of Manhattan (with a little help from us). With help from our consultants, we worked together to create a solution for year-round cultivation – cutting out the logistic and expenses of transportation from farms and greenhouses outside of the city. 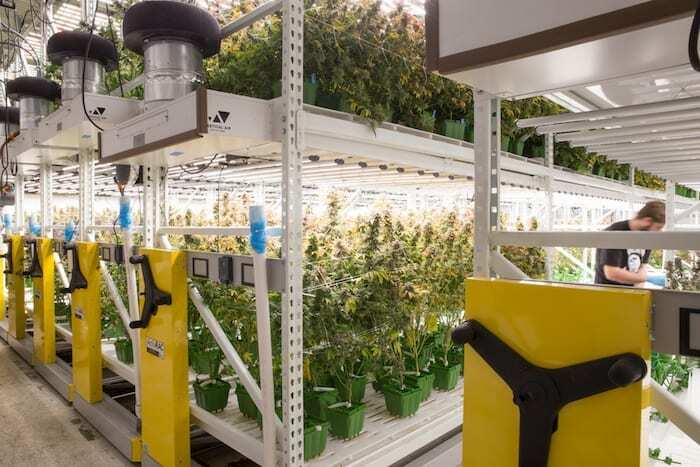 One example of a recent successful installation is a Cannabis Grow Facility in the Bay Area who needed to optimize their space to increase growth – without expanding the size of their facility. The larger the space, the higher the cost. With these expenses in mind, our team collaborated with them to put our 45 years of experience to work on a new, innovative application. 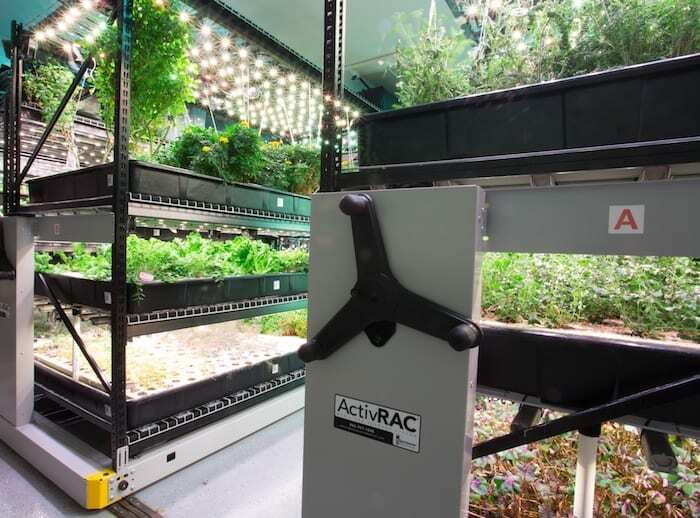 With ActiveRAC, we were able to install trellises and nets to keep plants from spreading, created the space to grow strains of different heights, and so much more.